Hi everyone! I´m trying to solve this, but just can´t get around it. The thing is that while being in one of the room of my model, I can see through the wall and walk right across it. And of course I don´t want this to happen. I´ve deleted some scan points in the Ipad app and re uploaded the model, but the issue goes to another room. What am I doing wrong? It seems like an allignment problem caused by the direct sunlight. When the camera is placed in areas with lots of sunlight it confuses the infrared laser scanner and can create glitches like this. I would do a rescan of both rooms early morning or late afternoon when no sunlight in the rooms, if possible. 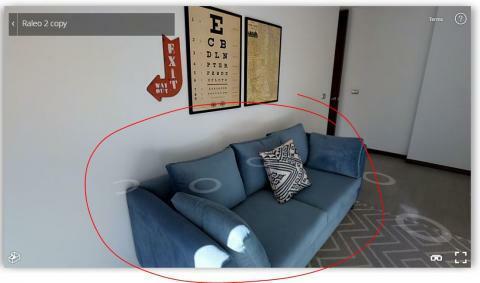 @NestorSarmiento - I sent this over to Matterport as I was curious to see what they would think. I received a response 5 minutes later -- which is somewhat insanely awesome. They correlated what @JC3DCX said. I will say that I think it would be nice if the Capture App would detect if a scan was problematic due to intense brightness. If you need to maintain those scan points for navigation, then I would use the window marker along both sides of the wall that is problematic. Amazing! You all are the best. I´ll first try to delete the scan points and re process. I´ll get back to you with the update.